The Curiotec CCT provides you with a complete load cell signal conditioner in a durable metal enclosure. There are a multiple range of output options available: 0-5V, 1-5V, 0-10V, 4-20mA, -20mA, and 0-40mA. This makes the CCT load cell transmitter easy to incorprate with most PLCs and controllers.. 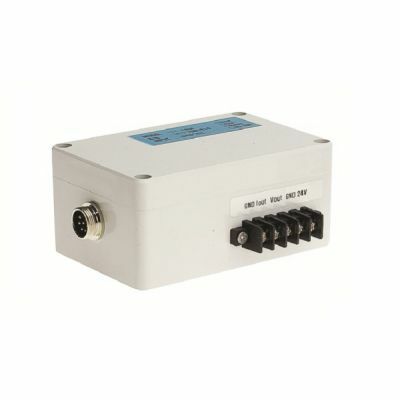 It provides either a precise 5V, or 10V excitation voltage, together with adjustable analogue filtering.